Between September and November 2018, WBI helped promote these little blue characters. In collaboration with the Mumbai AWEX and the General Consulate of Belgium St. Petersburg, the Smurfs crossed Belgian and European borders. 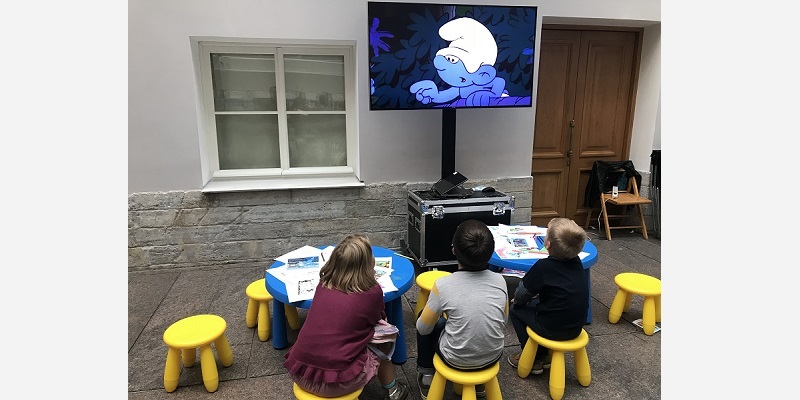 On Saturday 22 September 2018, the Smurfs assisted the General Consulate of Belgium in St. Petersburg, with the “Open your Europe in the Hermitage” festival. This annual event, which was organised by the EU Delegation at the Hermitage Museum aims to promote every EU country and showcase their heritage, especially their cultural legacy. Children’s animations and episodes of the Smurfs cartoons in Russian were shown on a loop on the Belgian stand. They were also included in the film programme that was projected in the museum’s great hall. 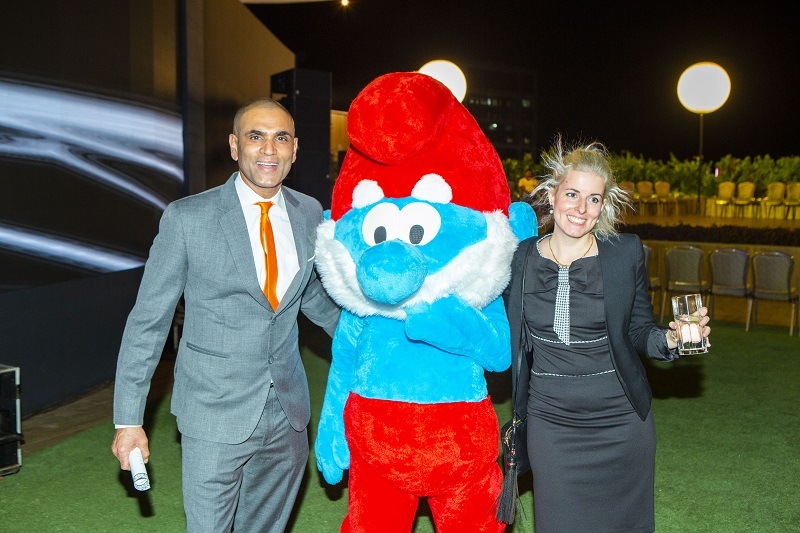 Papa Smurf then continued his journey to India, where he took part in the tourism mission organised by AWEX Mumbai. At the 4 Seasons hotel in Worli (Mumbai), he took part in the photo session organised alongside the seminar on tourism, specifically educational tourism, which 124 people attended. Finally, for the King's Festival on 15 November 2018, which was held in the gardens of the Nehru Centre (Mumbai), Papa Smurf delighted the prestigious guests, including Miss World Manushi Chillar. If the Smurfs, who were created in 1958 by Peyo, have had spectacular success since the 1980s, it’s not only because of the comic strips and cartoon animations. Their international fame has also been built from spin-off products, which enabled the human-sized Papa Smurf to be exported to India and Russia. 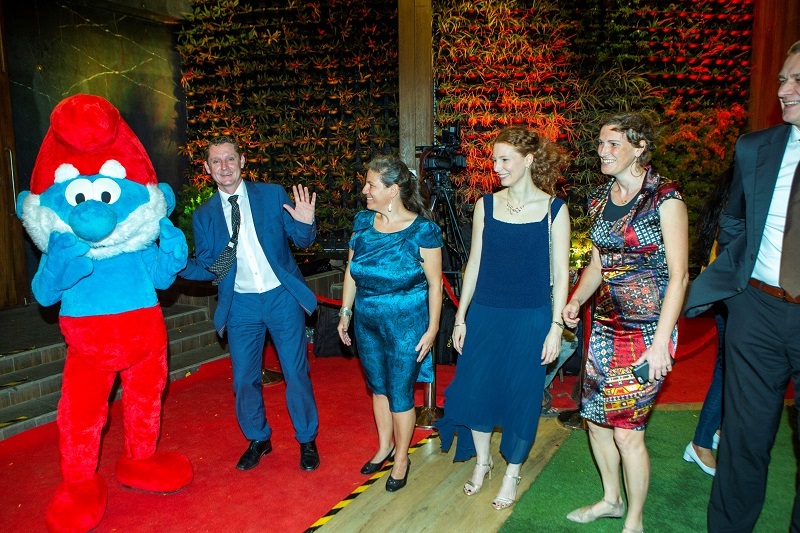 The presence of this mascot at Belgian and/Walloon events helps promote our authors’ know-how and reputation and also strengthens their visibility.